We've got so many toys to choose from that your guinea pig will be spoiled for choice! Toys help guinea pigs stay happy, healthy and active - and it doesn't cost much either. Here's a list of our favourite guinea pig toys. Guinea pig toys are a great idea for your little furry friend. They stop boredom, increase activity and help stimulate their mind! Watching your guinea pig play with their toys is also great fun. Here are our favourite guinea pig toys. Guinea pigs love to chew - it's great for their little teeth. Chew toys help to satisfy the natural chewing instinct of guinea pigs. They will love to nibble away the hours and push them around their hutch or cage. 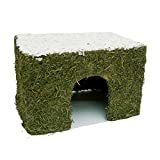 Check out the most popular Guinea Pig Chew Toys on Amazon! Guinea pigs love a little toy ball to play with! They will chew them, roll them around, check them in the air and generally enjoy a darn good play. Some guinea pig balls are made of natural material so that they are safe for chewing. Many will also have a bell in the middle to make play time even more amusing for your guinea pig. 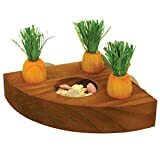 Our favourite is the Rabbit Guinea Pig Grass Ball Toy Treat with Bell. 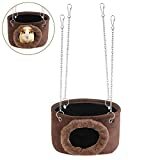 Have a look at the best selling Guinea Pig Ball Toys for sale on Amazon. Your guinea pig will love to scurry and hurry through and around. It's good for their fitness and well-being! Watching your guinea pig dart up and down a tunnel can be great fun also. 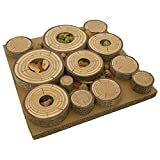 So there you have our favourite selection of guinea pig toys. It's great fun for your guinea to play and just as much fun to watch! Being active and inquisitive is important to your guinea pig's fitness and well-being. 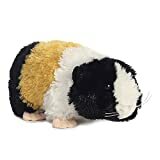 There are literally thousands of guinea pig toys available online at Amazon. That's where we buy our pet supplies. They are very well priced and delivery is normally pretty quick! If you want to save a few pennies but make sure your guinea pig has toys to play with, see our guide on how to make your own guinea pig toys.